Mineral makeup companies can offer a variety of products to try and appease the consumer for different mineral makeup applications. You'll find it in loose powder form, pressed powder, liquid foundation and cream. Of course for safety reasons, most will have to use preservatives to prevent bacterial, fungal and mold growth in the mineral makeup formulas which contain moisture. It is usually in the form of parabens or a preservative blend and isn't always disclosed on the ingredient list. It can be hidden under the term "fragrance" so you'll not always know what you are putting on your face. As you can see, this is not a mineral makeup at all, but contains ingredients you can find in just about any liquid foundation which are typically synthetic chemicals, thickeners, preservatives, silicone derivatives and some very nice botanical extracts. Notice the crucial sun protecting minerals are at the bottom of the ingredient list, making these a factor of less than 1% due to their placement behind the preservatives. Plus, when they are found in the "May Contain" portion of ingredients, then these are being solely used as a potential colorant. 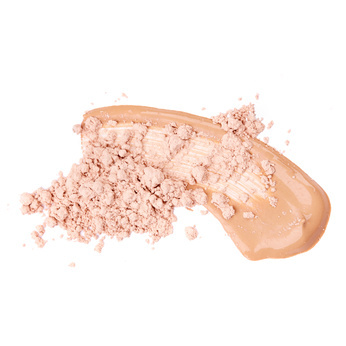 There are mineral makeup base formulas by companies however, created in cream form and other liquid foundations keeping the ingredient list simple and true to it's name, (mineral) for the most part. These are typically without preservatives due to the manufacturer trying to maintain an all natural product claim, while in reality this would be completely unsafe for skin health as microbe activity would grow at an alarming rate. Pressed powder can be infused with or without preservatives, but the simple fact is, in a container where they are exposed to air preservatives will not hold up throughout the life of this type of mineral makeup use. After repeated touching of the brush going from pot to face and back to colored pot it becomes a filthy germ filled application of mineral makeup over time. Loose mineral powder is truly the cleanest form anyone can use, but again you'll find many companies infusing their minerals with a whole slew of other ingredients other than minerals which can also cause problems for skin. Many commercial and professional mineral cosmetic lines also contain unnecessary preservatives and synthetics, along with potential skin irritants (sensitizers) in the form of useless ingredients or silica and bismuth oxychloride.